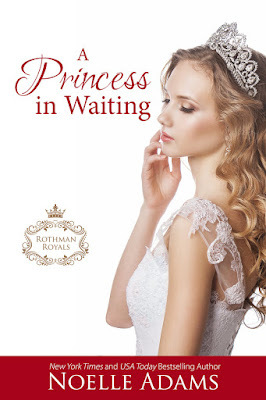 Celebrate the release of A Princess in Waiting by Noelle Adams! The Royals are back and they are sexier than ever! 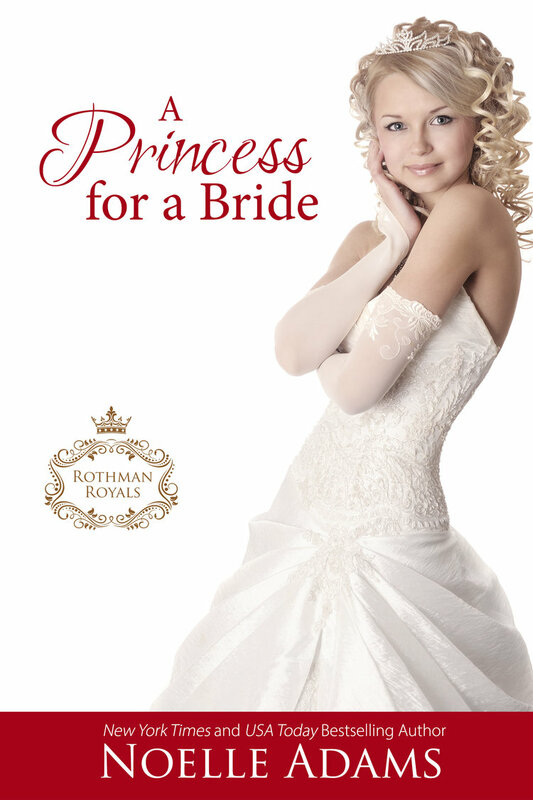 To celebrate the release of A Princess in Waiting, grab A Princess Next Door (Rothman Royals #1) for just 99c! I gazed up at him without hesitation. I looked at him all the time. There was no one I’d rather look at than Alex. I gasped at this comment, but he didn’t give me time to respond. I tried to do what he said and was startled by the look in his eyes. He was gazing at me too, and for a moment I was trapped by the softness, the depth, the warmth of his expression. My mind blurred over and my heart started to beat wildly. I could feel my pulse in my wrists, my head, my throat. My breathing was growing more shallow, and other parts of my body started to throb. He wasn’t even touching me, but it felt so much like he was. Instinctively, I lifted my hand and pressed it lightly against Alex’s chest. He was wearing a dark blue crew neck shirt, and I could feel his hard, warm chest beneath the fabric. I raised my hand and used my fingertips to gently stroke along the line of his jaw. “Like this?” I whispered. Alex seemed frozen, unmoving, as he sat stiffly and stared at me. I loved the feel of his face so much that I stroked my finger back up to his cheekbone. He let out a low groan and grabbed my face in both of his hands, pulling me toward him until he was kissing me hard. – Grab A Princess Next Door (Rothman Royals #1) for only 99c!! That's how I met Jack Watson. He lives next door, and he's the nicest, sexiest guy I've ever known. My time here is almost over, though. Soon I have to go back home and be the daughter my family and country expects. So there's no sense in letting Jack seduce me with his slow smile, his skillful hands, and his husky drawl. Even if I was allowed to have him for a boyfriend, Jack hates formal occasions, pretentious people, and being the center of attention. He'd never hook up with a princess. Which is why he can never know who I am. 2 runner-ups will receive an ecopy of A Princess in Waiting! Visit all the blogs participating in the tour for reviews, excerpts and more chances to win!